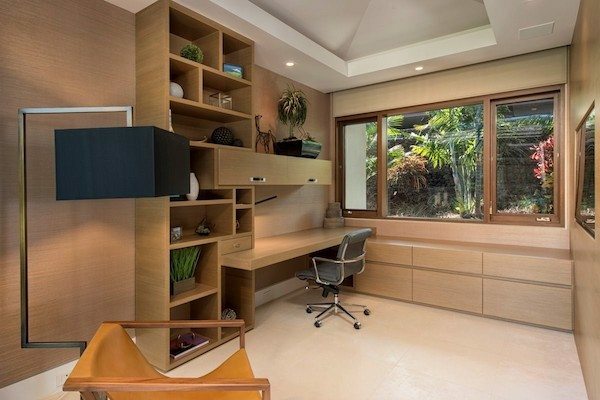 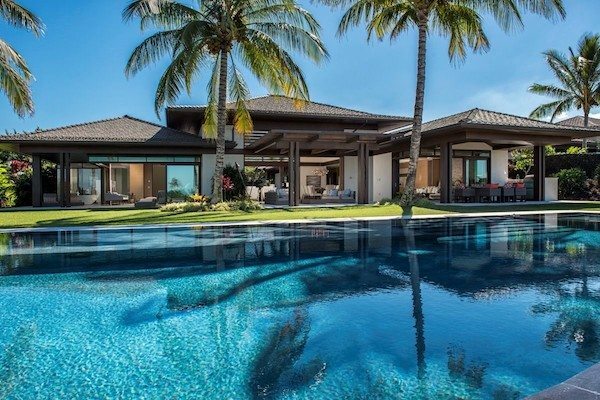 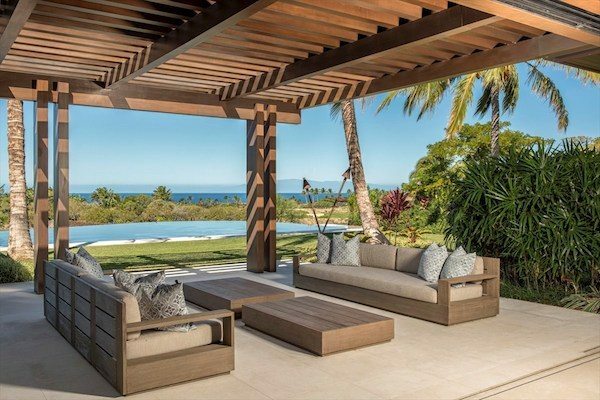 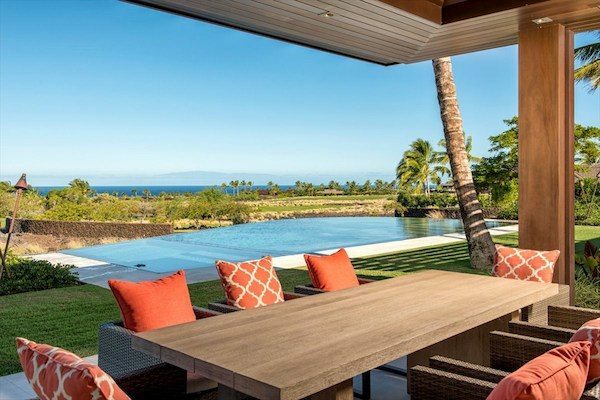 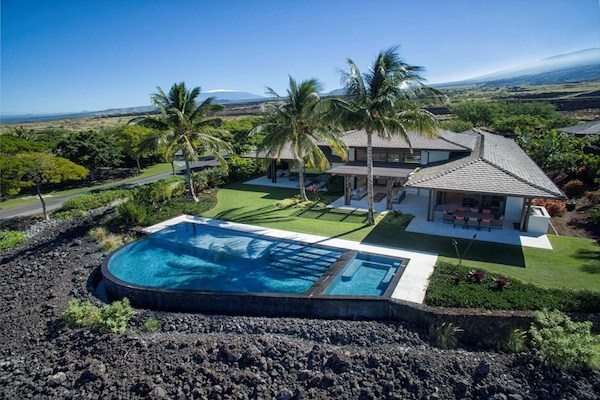 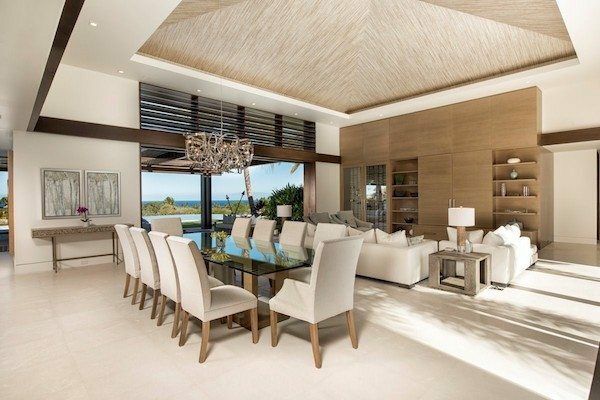 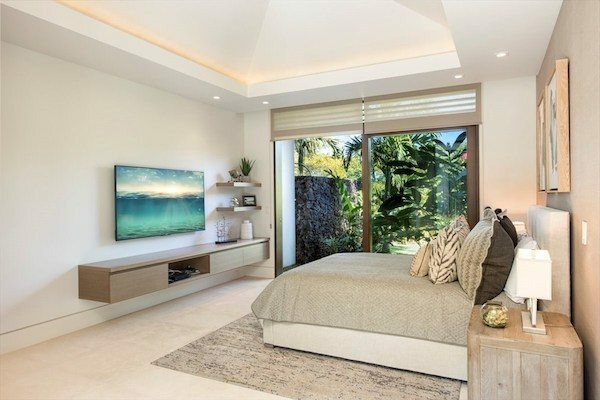 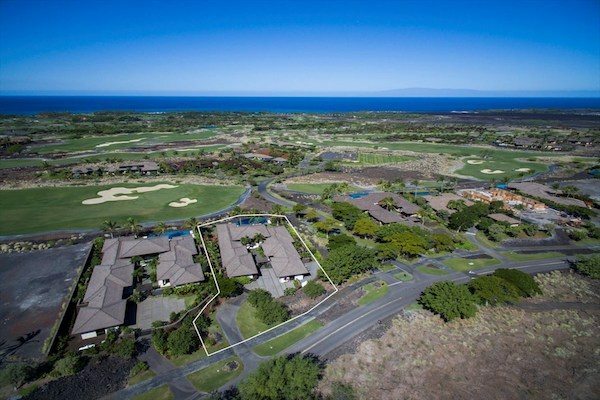 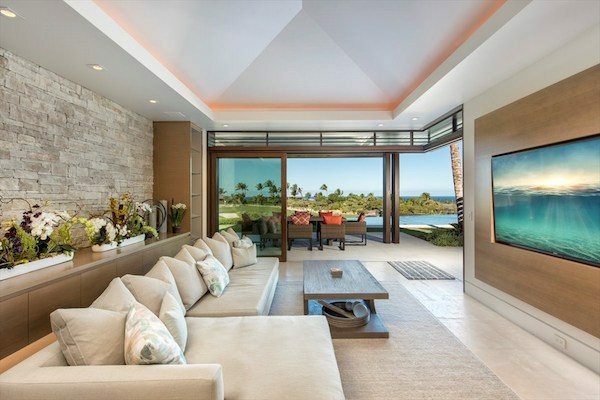 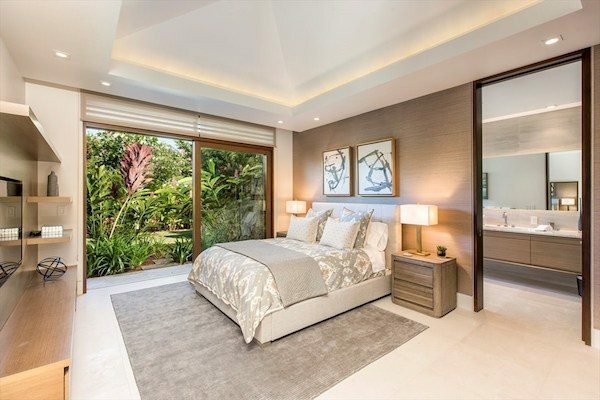 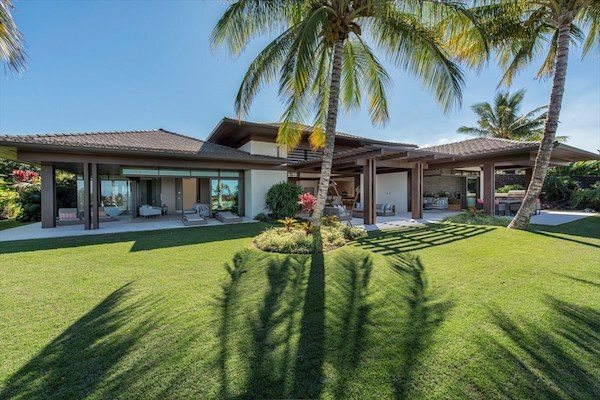 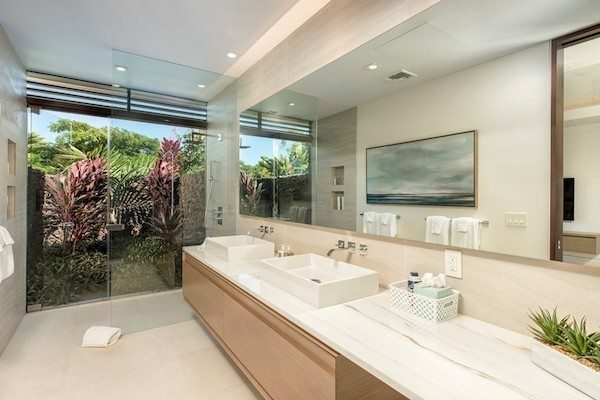 Spectacular Hualalai Custom Residence, designed by Vancouver based OpenSpace Architecture, on a large corner lot, overlooking the #10 Keolu fairway with panoramic ocean views. 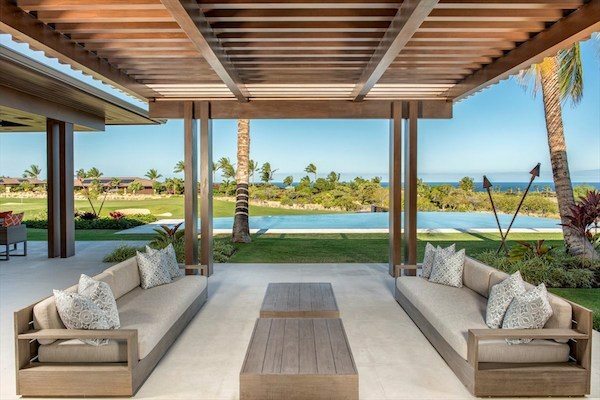 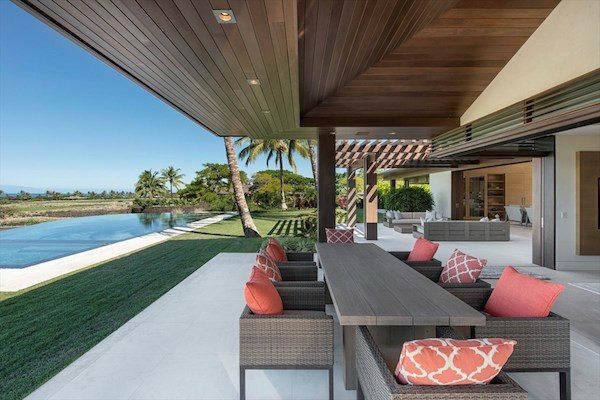 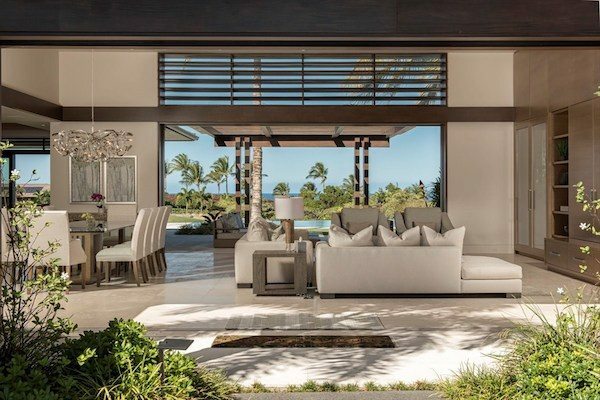 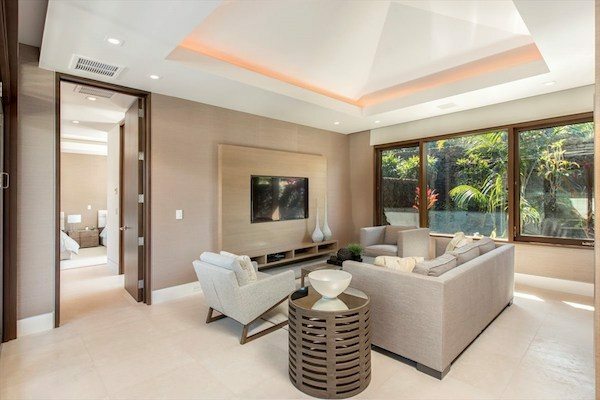 Contemporary and dramatic design, open, light and perfect for Hawaiian living with seamless transition from indoor to outdoor spaces. 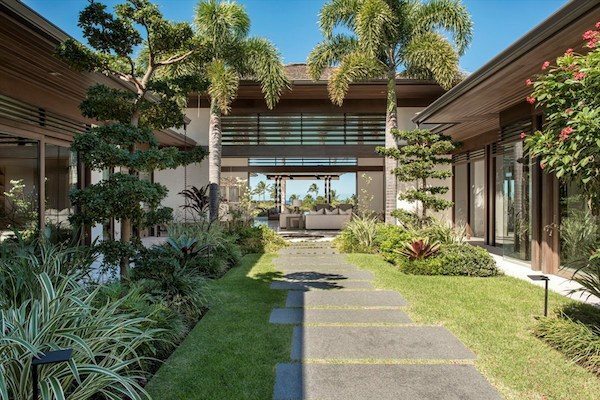 The central courtyard has waterfalls and a manicured lawn entry. 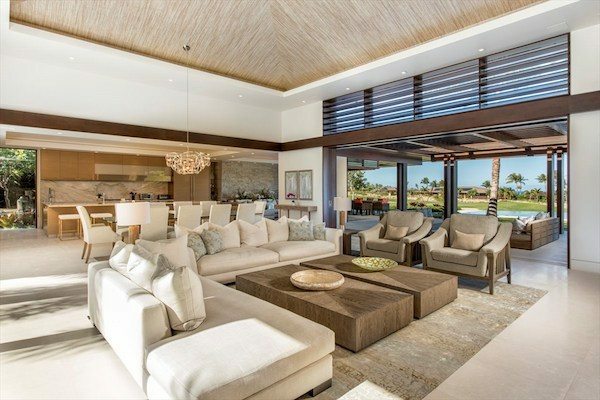 Floor to ceiling glass doors and sliders and contemporary design with louvers, columns and lattice work, with 24-foot high vaulted ceilings in the great room. 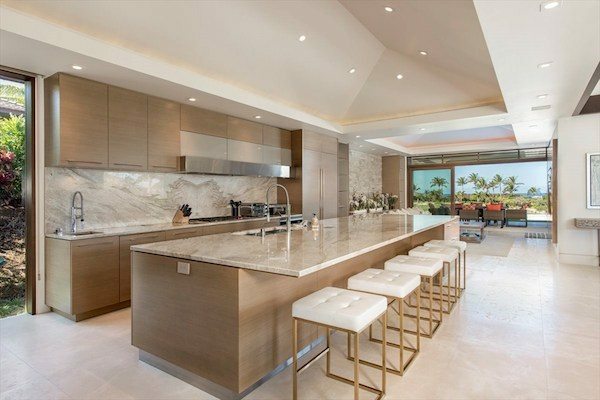 Lutron lighting and automatic shades, Brazilian quartzite countertops, Turkish limestone floors throughout, Wolf, Subzero and Meile appliances, climate controlled wine storage, and custom mahogany woodwork throughout. 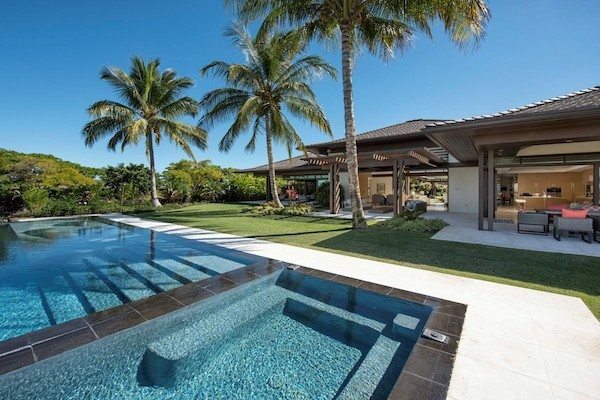 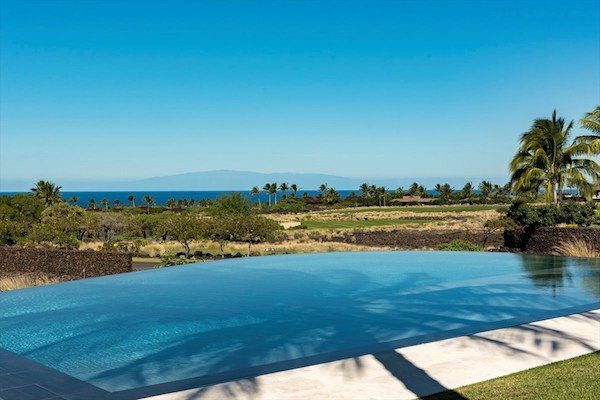 Deep lanais and salt water infinity pool and spa are perfect for entertaining.